With a population of nearly 2.5 million, Fortaleza generates a large amount of waste – significantly more than other Brazilian cities. Informal dumps throughout the city accumulate a large amount of the waste. 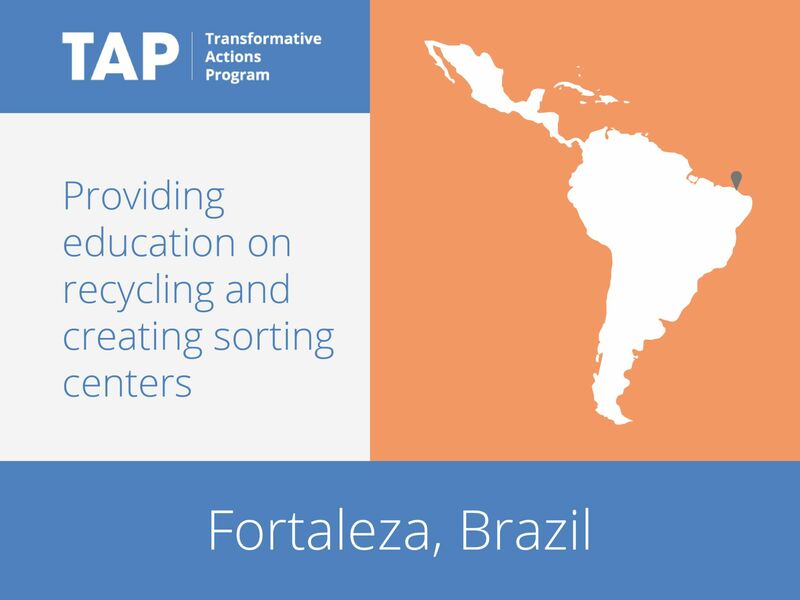 To resolve this issue, Fortaleza has developed the Recycling Attitudes Program. The program will educate citizens on the importance of recycling and encourage participation; promote cooperation between citizens and government agencies; and provide sorting centers for waste. Fortaleza will ensure that garbage collectors are included in the initiative, and hopes that the program will improve quality of life for all citizens.